Farmer, MLA (1908-1910), MLA (1911-1914), MLA (1914-1915), MLA (1916-1920), MLA (1921-1922). Born at Kussowlie, India on 20 August 1865, son of Colonel George and Emily F. Malcolm, he was educated at King Edward VI school (Sherborne, England). He came to Canada in 1882 and spent two years at the Agricultural College at Guelph, Ontario. He moved to Manitoba in 1885. He was married twice, first to Janet Inglis Winter (1866-1902) on 5 September 1891 then to Adelaide G. Barnes, daughter of Reverend W. Barnes, on 2 October 1902. He had three daughters and two sons: Gladys Emily Malcolm (1892-1892), Janet May Malcolm (1893-? ), Marion Ethel Malcolm (1894-? ), George Lawrence Malcolm (1896-? ), and Campbell Malcolm (1897-?). A member of the Manitoba Grain Growers Exchange, he also served as a local school trustee and was secretary-treasurer of the Birtle Agricultural Society. 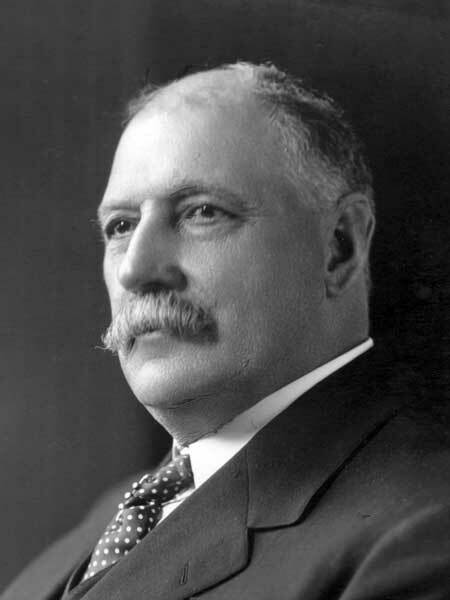 He was first elected to the Manitoba Legislature as a Liberal at a by-election for Birtle on 27 November 1909, and was re-elected in 1910, 1914, 1915, and 1920. He entered the Norris cabinet as Minister of Agriculture in 1920-1922. In 1922, it was rumoured that he was to become Premier in a farmer’s government. Instead, he did not contest the 1922 election and never again served in public life. He died at Brandon on 18 August 1930 and was buried in Blenheim Cemetery near Birtle. “George G. H. Malcolm succumbs at Brandon,” Manitoba Free Press, 20 August 1930, page 5.